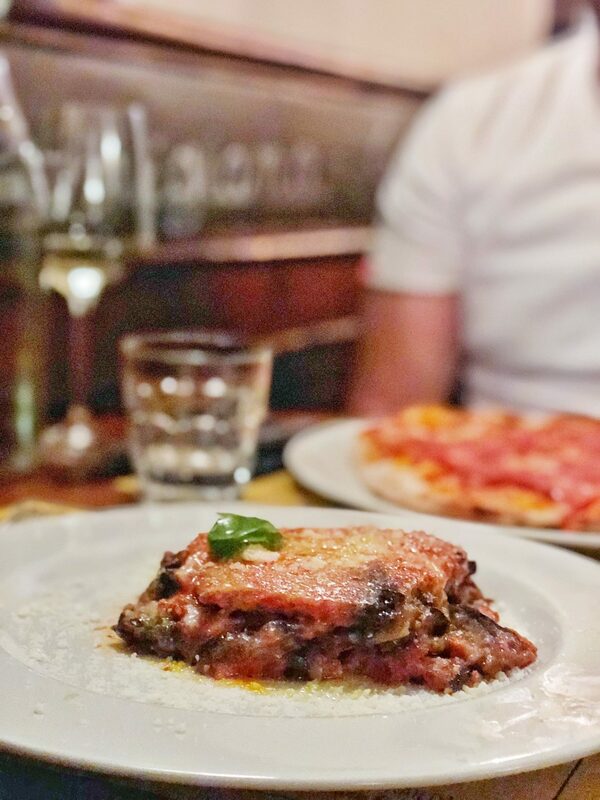 One of the most exciting things about visiting Italy for me was the food – yes, I chose Rome because I was so excited about the history and the culture trip but for me, food is always a pretty important factor and I LOVE authentic food. 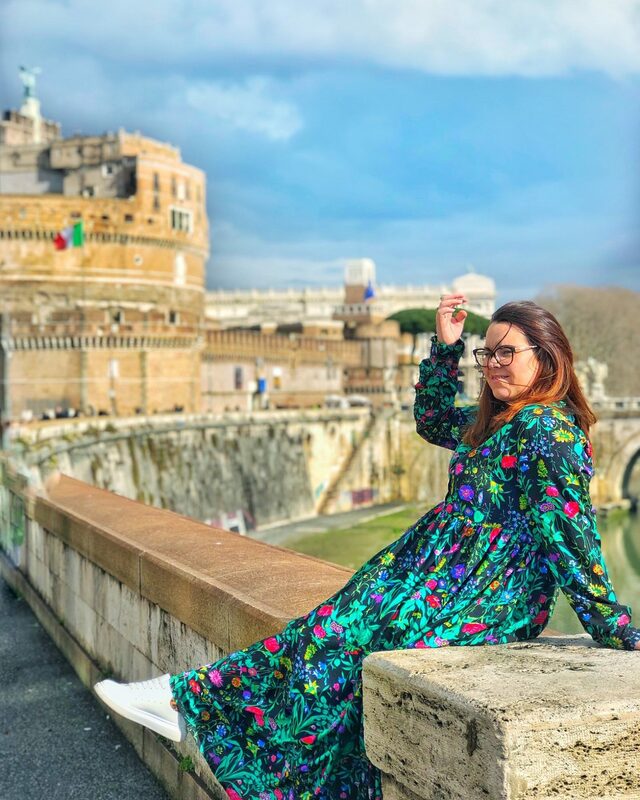 To be honest we found Rome a little bit hit and miss – miss being when we didn’t listen to the advise we were given and we went to restaurants in the touristy areas. We were told they were a let down and that we wouldn’t enjoy them as much as restaurants in the side streets or over the river in Trasevere, but every so often we just got a little fed up of walking about and declared that something would be finneeee. Lesson learnt! My top tip really does echo the response I was given on my Instagram when I asked for foodie tips – go down the side streets, don’t judge a book by it’s cover and try out the little “grab and go” style places as these are aimed at locals and often bloody lush. So I guess I should jump in with my recommendations – I’ve puzzled over the best way to do it, should I have lunch categories or just coffee categories but no, I’m just going with the places we tried and loved and serving it to you that way – I’ll tell you what we loved about them and you can make your mind up! I would just like to go on record here and say that THIS is the best hot chocolate in the world. Not sorry. It is simply amazing! 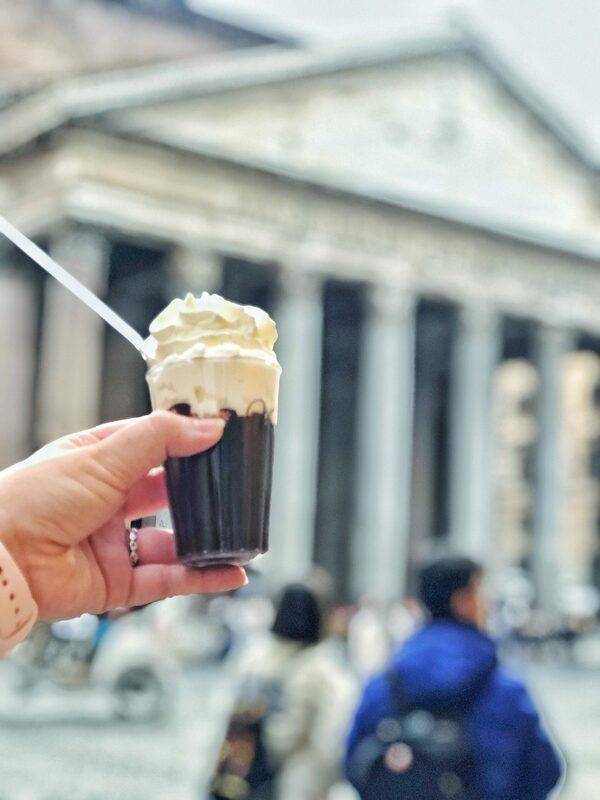 We discovered this little gem off to the side of the Pantheon (if you come out of the Pantheon and face the fountain it is on the right hand side past a coffee shop and down that side street on the left. You can’t really miss the smell – chocolate every which way! The shop is a gelato and chocolatiers, but their hot chocolate is the only thing we tried and I can’t express how lush it was! I went with cream and Adam went without – be warned it is SO rich. I think you have a couple of choices and if memory serves you can make it alcoholic! YASSS. 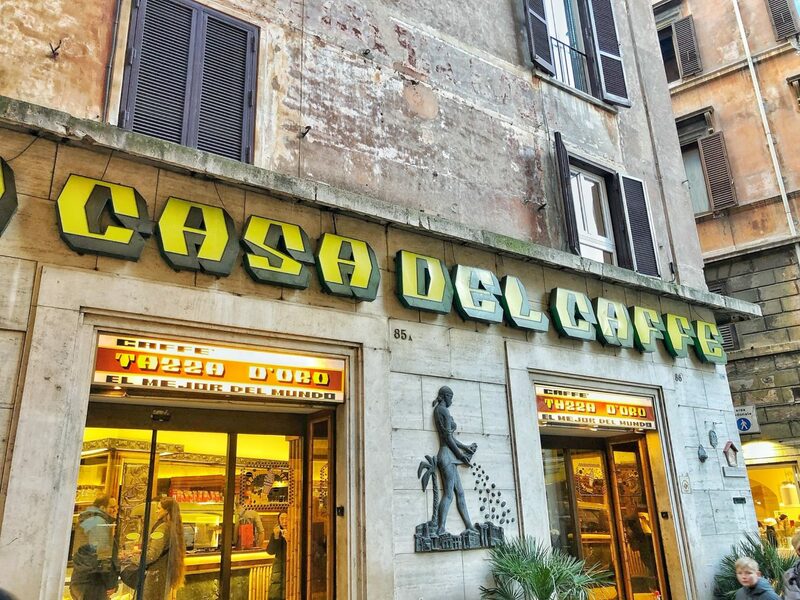 Whilst we’re at the Pantheon, I want to introduce you to the LAND OF COFFEE DREAMS! Directly opposite Venchi (mentioned above) this place has the most AMAZING selection of coffee, all super cheap and you can have pretty much any style of coffee you like. They also sold biscuits and light bites but we didn’t try those. We tried the coffee and didn’t look back, like Tina said, it was simply the best. Coffee and baked goods, especially for breakfast from Giolitti did not disappoint, not even a bit. 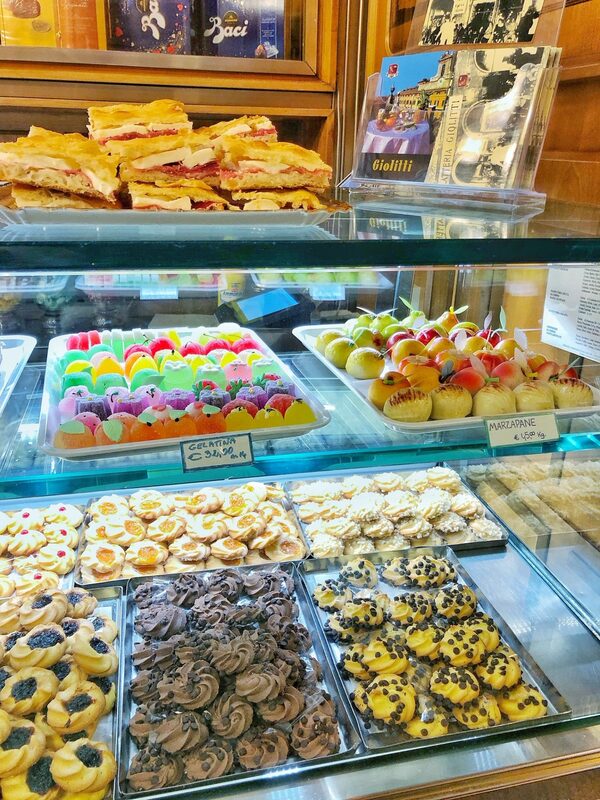 We would have a late morning snack there and stare at all of the beautiful goodies. Their biscuits were to die for and the coffee was delicious too. 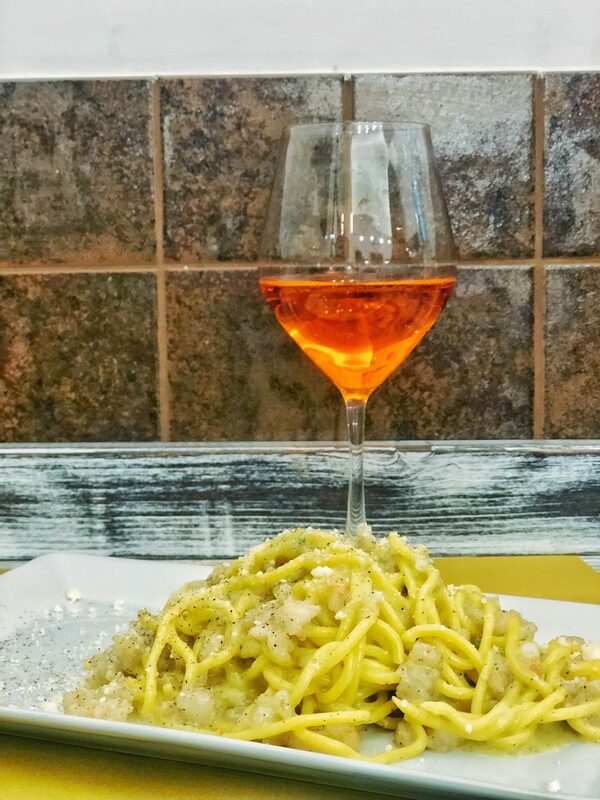 It’s quintessential Italian fare (or so I’m told) and it was everything. I managed to bring home a big bag of the gelatina you see in the image above for the kids and they loved them. Super quick pasta from Che Pasta – a pasta bar that literally cooks fresh pasta before you. I loved this dish – it was lime, black pepper and parmesan spaghetti with shrimps and it was mouth wateringly good! We ordered what we wanted, sat down and within a few minutes it was done – complete with drinks, you can also take out if you want to! Saltimbocca, my pictures don’t do you justice. Just outside of the hotel (Navona Palace Luxury Inn) this restaurant was nestled down the side street of Piazza Navona and I don’t think I have ever loved a restaurant so much! We ate there twice in our short 4 night stay because it was just so good. 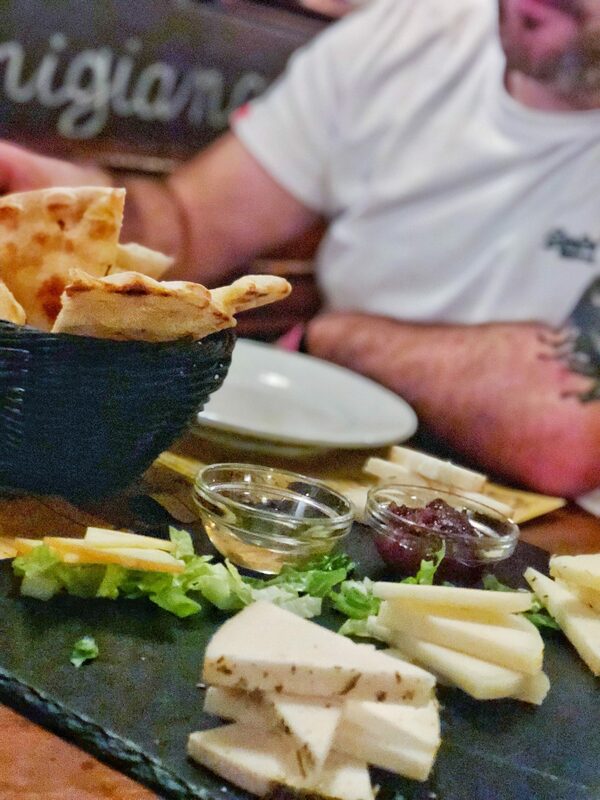 The first night we started with a cheese platter and it was amazeballs but it was the focaccia that stole the show. Adam now laughs at me because I was like a woman possessed… “could we just, maybe, grab some focaccia” every time we walked past! The following time I had a layered starter of aubergine, courgette, mozzarella and peppers – it was heavenly. My favourite thing on their menu was the Aubergine parmesan but the pizzas came a pretty close second. There simply wasn’t anything that we didn’t like – even the wines were amazing. Highly recommend this restaurant – with starters, mains and a bottle of wine the bill was only 64€ – a total winner. 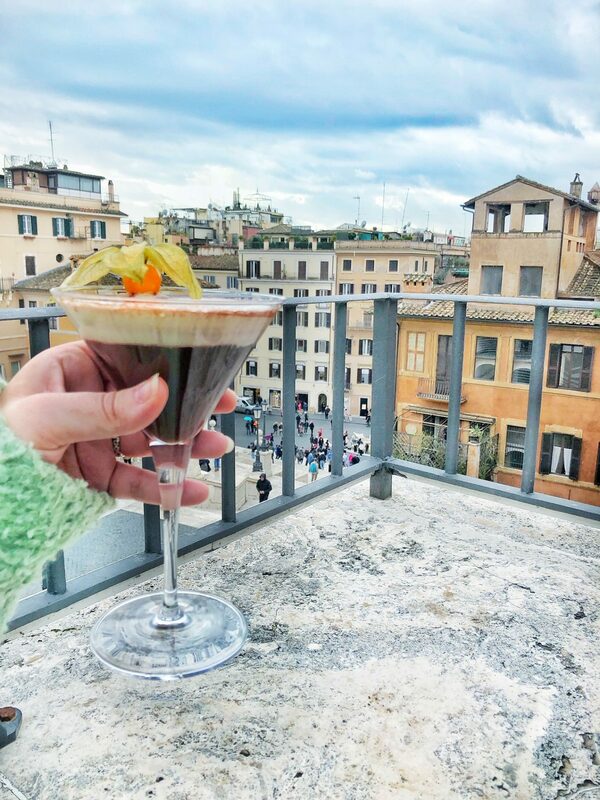 I loved the cocktails at Piazza di Spagna (Spanish steps) the hotel at the top over looks the piazza and you can sit and grab one of these hot chocolate cocktails called a “Winter Wonderland” cocktail. Simply LUSH. If cocktails aren’t you’re bag they had a full bar – and they bring out a lovely little snack tray to enjoy with your drinks. Lastly, they do food but I can’t attest to how good or not it is because we didn’t try any! Those are my top tips! We also tried a place called Est! Est! Est! which we really liked – their fried pizza was just insanely good but the calzone I had was too find with egg (traditional filling) and I wasn’t as keen. They were totally out of the touristy area and simply proved the point that good food is best out of the “zone”.